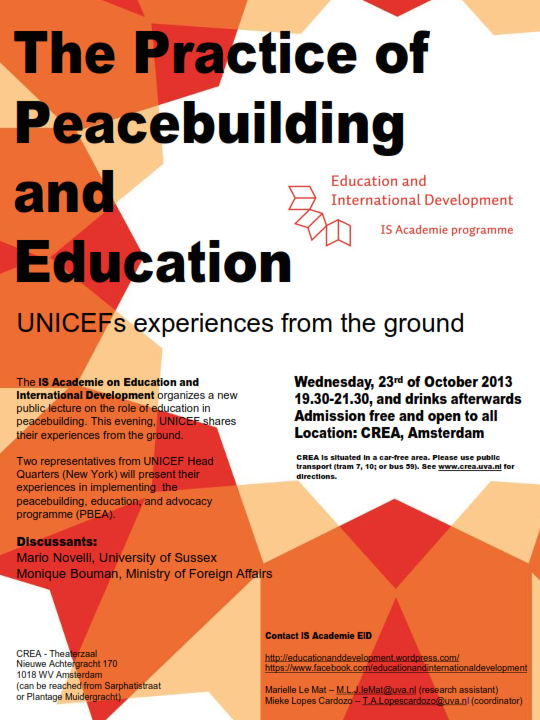 The four-year Peacebuilding, Education and Advocacy Programme (PBEA, 2012-2015) – designed as a partnership among UNICEF, the Government of the Netherlands, the national governments of participating countries and other key partners – is an innovative, cross-sectoral programme focusing on education and peacebuilding. Its goal is to strengthen resilience, social cohesion and human security in conflict- affected contexts, including countries at risk of – or experiencing and recovering from – conflict. 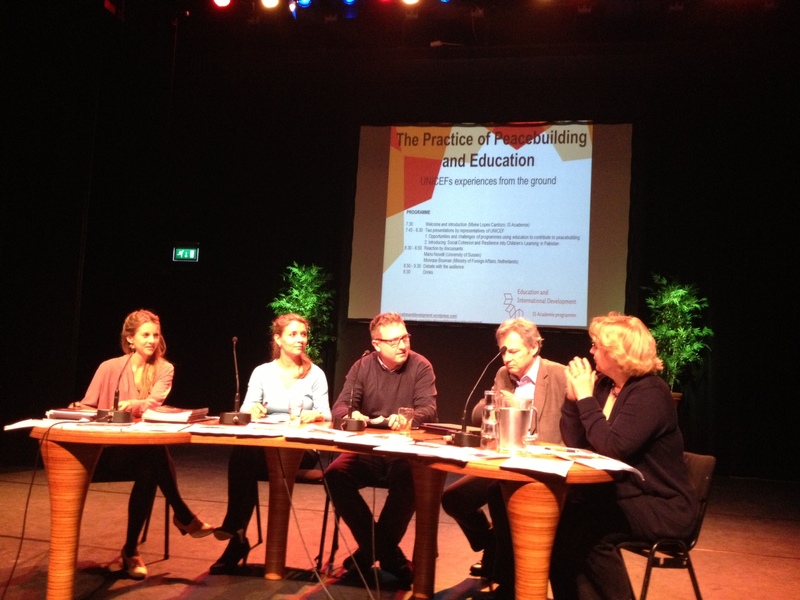 Towards this end, the programme will strengthen policies and practices in education for peace building. Fourteen countries across East Asia and the Pacific, South Asia, the Middle East and North Africa, Eastern and Southern Africa, and West and Central Africa are currently taking part of the programme. For more information on PBEA, click here. Conflict and insecurity are among the most significant development challenges of our time and considerable barriers to realizing the right to education for all children and young people. Access to quality education is a right that should be sustained even in the most difficult circumstances. During conflict, education can offer knowledge and skills that provide protection, while in the longer term, it can help develop values and attitudes that prevent conflict and build peace. To be precise, education has the potential to build the capacities of children, parents, teachers and community members to prevent, reduce and cope with conflict and to promote equality and peace. Moreover, education has crucial linkages to a society’s social, economic and political spheres. Accordingly, education is central to identity formation, can promote cohesive societies and contribute to state-building. On the other hand, education can undermine all of these processes. Inequitable provision of services or biased curriculum and teaching methods can reinforce existing exclusion and stereotypes. Thus, education needs to be delivered effectively and equitably to ensure that it is a driver of peace rather than war. The presentations focused on the programme progress and developments to date and provided some specific country examples. To view the first presentation, please click here. To view the short film that was shown in between the presentations, click here. For more information on this event, please contact one of the organisers: Mariëlle Le Mat (research assistant) or Mieke Lopes Cardozo (project coordinator).